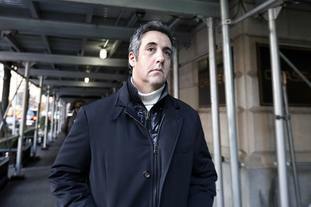 US special counsel Robert Mueller has disputed the accuracy of a news report that said Donald Trump directed his lawyer Michael Cohen to lie to Congress. Citing two unidentified law enforcement officials, BuzzFeed reported that the US president directed his long-term lawyer to lie about a Moscow real estate project and that Mr Trump personally instructed him to lie about the timing of the project. The report does not cite specific errors, but says Mr Mueller’s investigators learned about Mr Trump’s directive “through interviews with multiple witnesses from the Trump Organisation and internal company emails, text messages, and a cache of other documents”. The report said Mr Cohen then acknowledged Mr Trump’s instructions when he was interviewed by Mr Mueller’s team. House intelligence committee Chairman Adam Schiff, a Democratic Representative from California, and House Judiciary Committee Chairman Jerrold Nadler, a Democratic Representative from New York, both said they would investigate BuzzFeed’s account. Mr Giuliani said in a statement earlier on Friday that “any suggestion — from any source — that the President counselled Michael Cohen to lie is categorically false”.